There is nothing more important than the safety of your family. Electrical safety at home is just as important as the workplace. 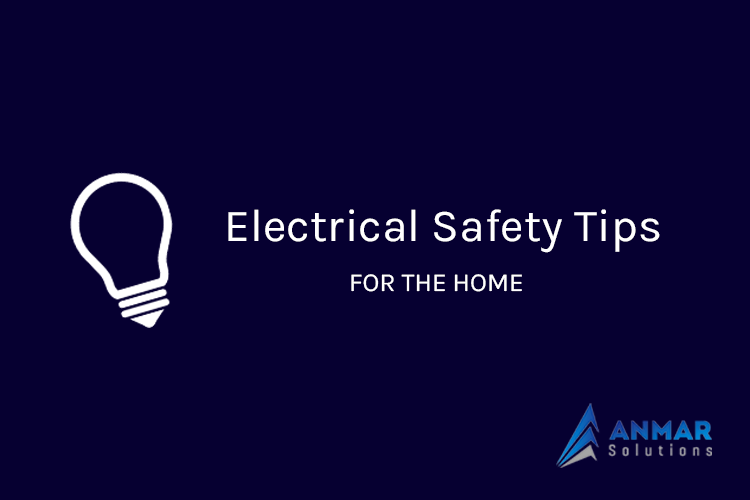 With so many appliances being used and cords lying around these days, it’s far too easy for yourself or a loved one to have an electrical accident that ends up in serious injury, or worse. Electrical shocks and fire hazards can occur in the blink of an eye. Thankfully, protecting your home from these dangers is easier than you might think. Most electrical injuries are actually highly preventable. All it takes is knowing the signs, and ensuring your family are educated about correct safety at home. Especially if you have a young family! During our 40 years of industry experience we’ve seen what can happen, and how easily it can be prevented with the right knowledge. Here are our top 10 electrical safety tips to help you achieve a 100% no-accident record at home and keep yourself and your loved ones safe. While it might seem easier to leave power points on throughout the day, this actually creates a nasty hazard. Leaving them activated makes it easy for children to flick on a toaster, ignite a hot plate or heat an iron. Turn them off, and check them regularly for broken plugs or exposed sockets. Get them repaired immediately if you find one. Far too many electrical accidents are caused by electrical cords. Always be aware of where you’re directing cords and extensions in the house, keeping it out of pools, sinks and bathroom areas. When you’re done with an item, ensure the cord is roped up tightly and stored away with the item after use. It’s easy to use electrical appliances like TVs or stereos as a clothing rack. Due to the electrical currents passing through, however, these items get hot extremely quickly. They need adequate breathing space to avoid overheating – so choose a chair or a lounge to throw your stuff instead. Fires in the home cause tremendous damage and heartache for anyone unlucky enough to experience one. Most of these are actually ignited by electrical hazards. Houses in Australia by law must be fitted with operational smoke alarms – so ensure yours are always up to scratch. Your power boards should be fitted with safety switches. These switches deactivate the main power supply moments after an electrical fault occurs. This is particularly important if you have a young family. It could be the difference between a relaxing afternoon and a trip to emergency. Water and electricity just don’t mix, and it’s not worth testing the limits. To minimise electrical risks at home, ensure your family know to dry water off their hands before using appliances. Hair dryers and straighteners need supervision around children and ensure radios and TV’s are kept away from baths and pool areas at all times. Light bulbs are a common fixture in homes but are dangerous if not handled correctly. Always ensure light switches are off before changing bulbs and use new bulbs with the right wattage for the fixture. Screw them in tightly to prevent sparks or shorts. It might seem like a loose rule, but one surprise shock and you’ll know how devastating the alternative can be. The backyard is just as critical for preventing electrical hazards as inside your home. For full protection, start by keeping your trees and other foliage pruned and neat around power lines. Be careful where you place extension cords. If you see a downed power line in your yard, don’t touch it – contact the authorities straight away. Sometimes electrical accidents just happen. If anything does happen in your home, start by calling 000 for Emergency. If there’s no danger, switch off the impacted socket or appliance. Don’t touch the victim’s skin if electricity is still running. If you know CPR, attempt to resuscitate until the ambulance arrives. With electrical safety at home, the best reaction is prevention. Always be on the lookout for potential health hazards and follow the tips above to minimise risk. If something needs repair, make sure you remove it or make everyone aware. Call a qualified electrician to come in and fix it, just like you would in your workplace. Many of these electrical safety tips may appear straightforward, but most accidents happen when least expected. Always be monitoring your electricity at home to achieve a 100% no-accident record. It’s always better to be safe than sorry. If you have any questions about electrical safety and compliance, at home or in the workplace, give us a call. We’re happy to help!